The concept development for a new museum of architecture and design in Finland advances. 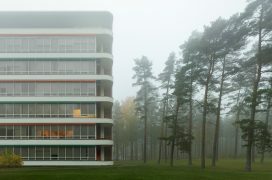 This year’s Finnish Architecture Day, celebrated annually on Alvar Aalto’s birthday on 3 February, opens new perspectives to the museum discussion by presenting international examples. 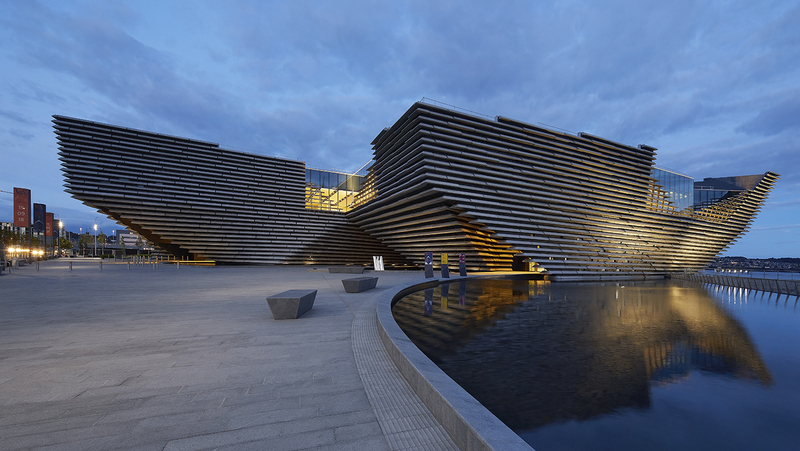 Scotland’s new design museum V&A Dundee, designed by the renowned Japanese architect Kengo Kuma, opened to the public in September 2018. The building, resulting from an international architecture competition held in 2010, has received appraise both from the media and users – Wallpaper*selected V&A Dundee as the best public building of 2018. Architecture Day participants will hear first-hand experiences about Scotland’s new museum from Director Philip Long, V&A Dundee. Museum of Estonian Architecture’s Director Triin Ojari will disclose news from across the Gulf of Finland where, following a recent decision, the museums of architecture and design will also be merged. Reetta Heiskanen, Acting Director of Museum of Finnish Architecture and Jukka Savolainen, Director of Design Museum, will take part in the discussion held in English and moderated by Hanna Harris of Archinfo Finland. The ‘New Museums’ session is followed by a film screening which focuses deeper into one of the main functions of architecture museums, the archives. 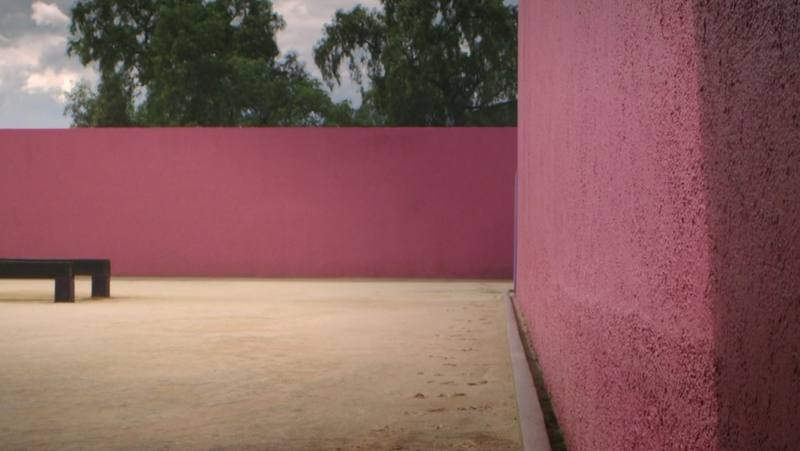 The Proposal (2018) tells a story about the legacy of the Mexican architect Luis Barragán and the American artist Jill Magid striving to get access to the archives. The film is presented in the programme of DocPoint – Helsinki Documentary Film Festival. The film is followed by a discussion in Finnish on Barragán’s architecture and the preservation of architectural treasures. 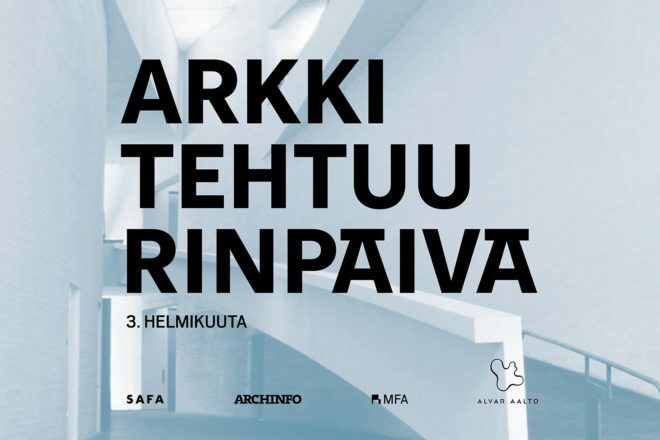 Architect Jouni Kaipia, Director Tommi Lindh of Alvar Aalto Foundation and Head of Archives Elina Standertskjöld of the Museum of Finnish Architecture will take part in the discussion moderated by Archinfo Finland’s Miina Jutila. 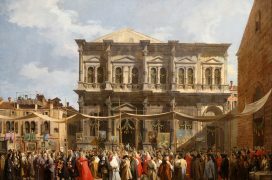 Participation in the New Museums -session is free of charge, registration here by 30 January. EDIT: The New Museums session is full. Standby seats may be enquired via email sini.parikka@archinfo.fi. The event will be streamed on Facebook. Tickets for the film screening are sold at DocPoint webstore. The film is in English. Kiasma museum offers free entry for registered Architecture Day attendees on Sunday 3 from 10 am to 5 pm. See the current exhibitions. Tickets by name from the ticket sales desk. Architecture Day is held annually on 3 February, Alvar Aalto’s birthday. 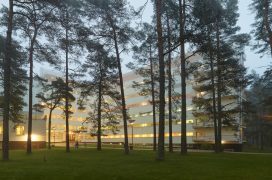 The event is organised by Archinfo Finland, Museum of Finnish Architecture, Alvar Aalto Foundation and Finnish Association of Architects SAFA. We would like to thank the 2019 partners: DocPoint – Helsinki Documentary Film Festival, Kiasma, Design Museum and Friends of Design Museum and Museum of Finnish Architecture DAMY. V&A Dundee is an international centre for design housed in a world-class building at the heart of Dundee’s waterfront in Scotland. It was designed by award-winning Japanese architects Kengo Kuma & Associates, following an international competition, and is Kuma’s first building in the UK. Kuma’s vision for V&A Dundee was that it will be a welcoming space for everyone to visit, enjoy and socialise in – a ‘living room for the city’. V&A Dundee is an impressive 8,000m² building, with 1,650m² of gallery space. It celebrates Scotland’s historic importance in design and hosts major exhibitions of international design. The target is to inspire and promote contemporary talent, help people understand their own and others’ cultural heritage and encourage design innovation for the future.